Digital NEST Founder Jacob Martinez is surrounded by talented youth with big dreams all the time. They are literally all around him. Young, smart, diverse and determined individuals with high aspirations and their sights set on big things. MIT hopefuls, aspiring programmers, creative filmmakers, budding graphic designers, skilled event planners, and more walk through the doors of Digital NEST every day. So when Jacob hears about companies struggling to build diverse teams or find local talent, he did what any good entrepreneur would do. He started working on a solution. This time around Jacob is building better bridges between his community and companies to create an unstoppable workforce he hopes will change the way we think about finding talent and build inclusive teams. Teresa Ruiz Decker (TRD): Tell us about your latest project. 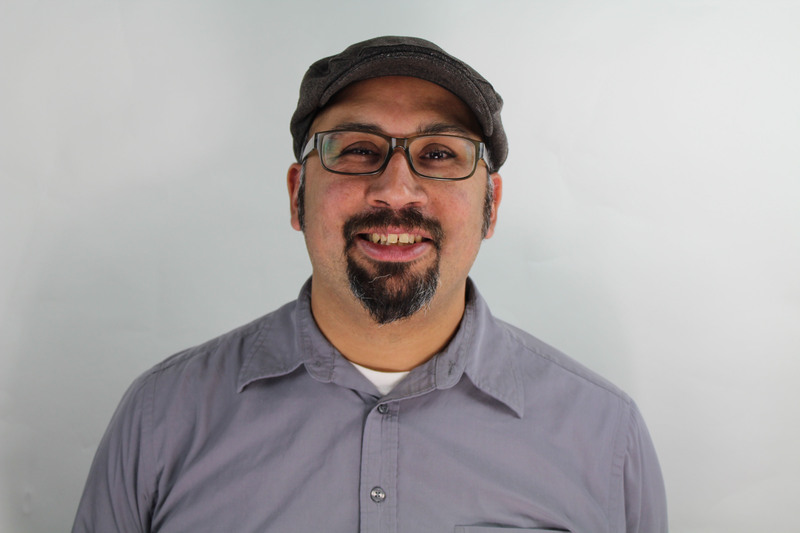 Jacob Martinez (JM): On October 13, 2018, we’re hosting NEST Flight, our very first youth workforce development conference in downtown Watsonville. We’ll be inviting 300 students from diverse STEM-focused programs at Cabrillo College, UC Santa Cruz, CSU Monterey Bay, and Hartnell College. There will be workshops, inspirational speakers, and tons of networking. That’s what it’s all about. Helping these talented students make professional connections that will help jump-start their career journeys. TRD: Are there any employers involved? JM: So far GitHub, Amazon, Plantronics, Cal Giant Berries, Kaiser Permanente, and Adobe are just a few of the forward-looking companies that have signed up. They’re ready to start cultivating this untapped network of up and coming professionals that we are building. It’s going to be amazing. TRD: How did you come up with the idea for NEST Flight? JM: What we have seen over the last three and a half years since Digital NEST opened is that a lot of young people come through our doors with interest, curiosity, and ambition. They also have these hard to find skill sets we hear local employers say they want like, drive, grit and loyalty. We also get approached by local companies on a monthly basis seeking employees. With the creative youth and the employers seeking talent, we had to think of a way to bring them together. NEST Flight was born. TRD: Why do you think employers aren’t connecting with these youth already? JM: We haven’t made the commitment to really look locally for talent. It’s a lot easier to say you want local talent and genuinely believe you do want to hire diverse teams. It’s another thing to think strategically at the people in your own community and find ways to create real networks into the workplace. TRD: Give us an example of what you mean. JM: Look at this way, when you go to apply for a job and you see someone is from the same school as you like Stanford, that means something. You have a network. These students have the talent but don’t necessarily have the social capital or someone that can show them the way. JM: What our youth do have is a willingness to work hard and a strong commitment to our community. Maybe high school didn’t work for them but they’ve decided to go to community college to keep learning. Someone could also be highly committed to helping their family or just don’t want to take on the financial burden of student loans. All of these are real reasons many of our students choose to stay local. They are also good reasons we should be looking at these students as desirable candidates. They’re demonstrating a high level of commitment to different areas in their life. Something else to consider is the way we view community colleges. The fact is many community colleges, including those in our region, have excellent, affordable programs. Sometimes people look at attending community college as a failure but that’s just not true. I am a product of community college. I probably wouldn’t have been recruited into these companies based on the school I went to but that just proves that we are all much more than what’s on our resumes. It’s also proof of why we need NEST Flight. There are thousands of students just like me ready for an opportunity to do more. TRD: So, what would you tell employers who want to hire local, diverse talent but are not sure how? JM: I’d say if you are an employer who is looking for local talent, you need to be at NEST Flight. Come, meet these students. Be part of a movement giving our youth the social capital they haven’t had the luxury of having. They’re not only talented but also proven they’re willing to work hard and have the grit to make things happen. It also makes financial sense to hire locally. We all know the challenges of housing and the cost of living in our community. Local candidates have a place to live, they know the high cost of living, and they have family here that will anchor them to this community. Hiring locally can get you long term employee. JM: I know Silicon Valley says they have a diversity problem but it’s not that diversity isn’t out there. The talent is there. Companies need to look in the right places and partner with the right organizations that can help them build genuine relationships. That’s when things will start to change. That’s what we really hope for NEST Flight. That we can bring people together. For more information on NEST Flight visit www.nestflight.org.